This game is quite fun. It’s got Newtonian physics, atmospheres, and other fun space-travel related thingies. Its basically a sandbox for rocket building, and space travel. 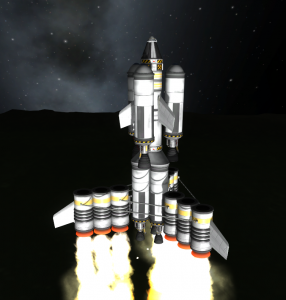 You piece together rocket (fuel tanks and engines), try to fly into space, get into orbit, land on Mun, etc..
Here’s high-lights of my maiden flight to the Mun. My ugly rocket fighting with gravity. 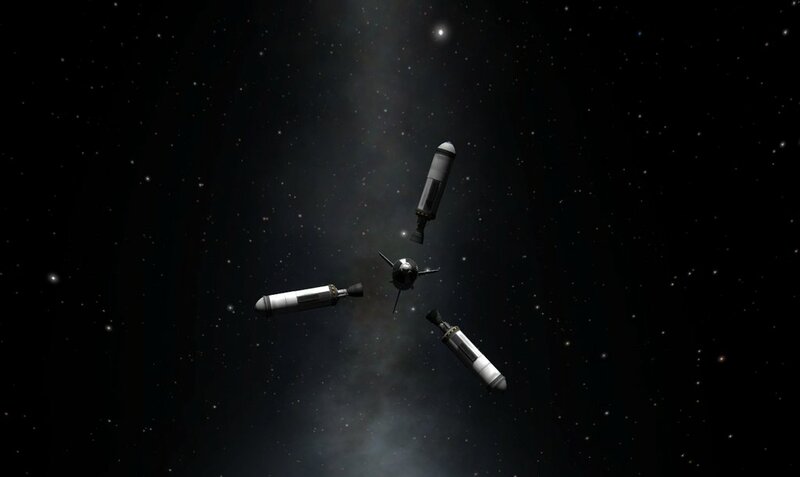 Burning Maneuver to expand my orbit to intersect with Mun’s orbit. 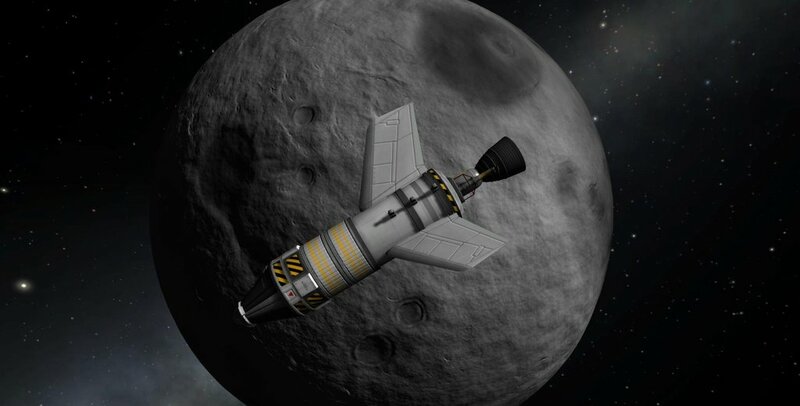 Floating through space towards Mun. 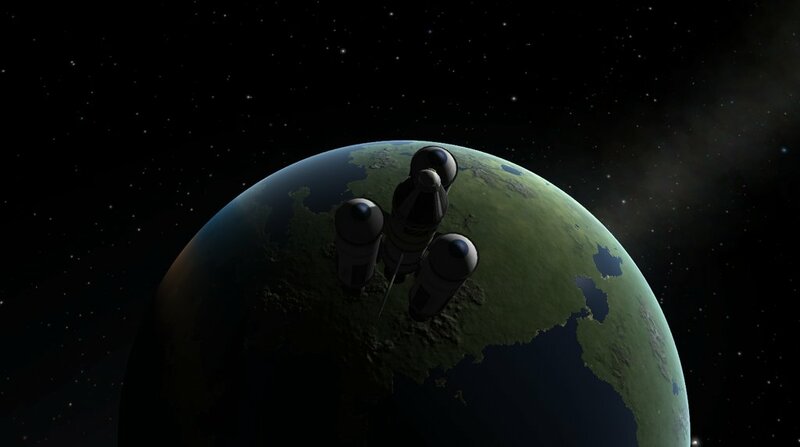 My last sight of the Kerbal Planet before crash into Mun. This entry was posted in LOL on 08/08/2013 by MantasCode.